Liquor Bottle Clear Glass w. coasters and coat of arms, pre-1964 - what is it? Brand? 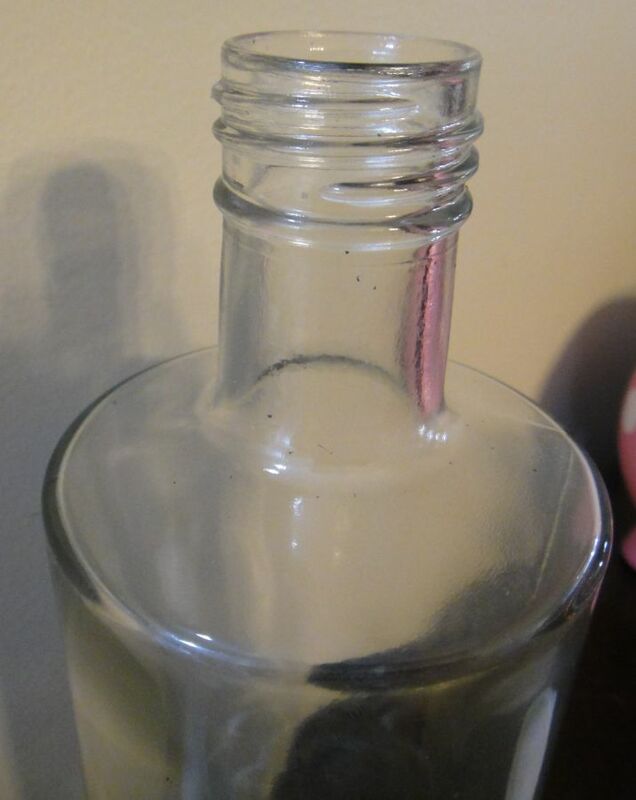 The seam runs up to the lip of the bottle on both sides. 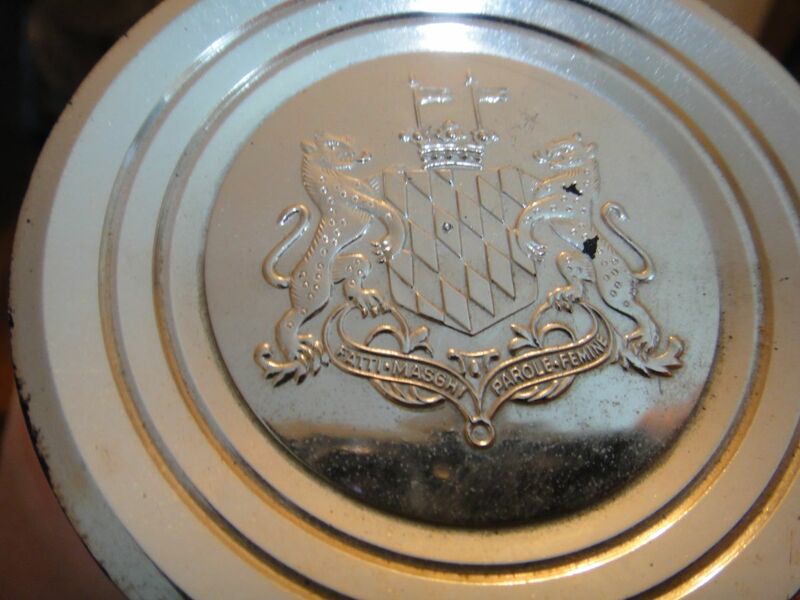 The crest on the lid has a shield with a leopard on both sides, a crown on top and 2 flags on top. 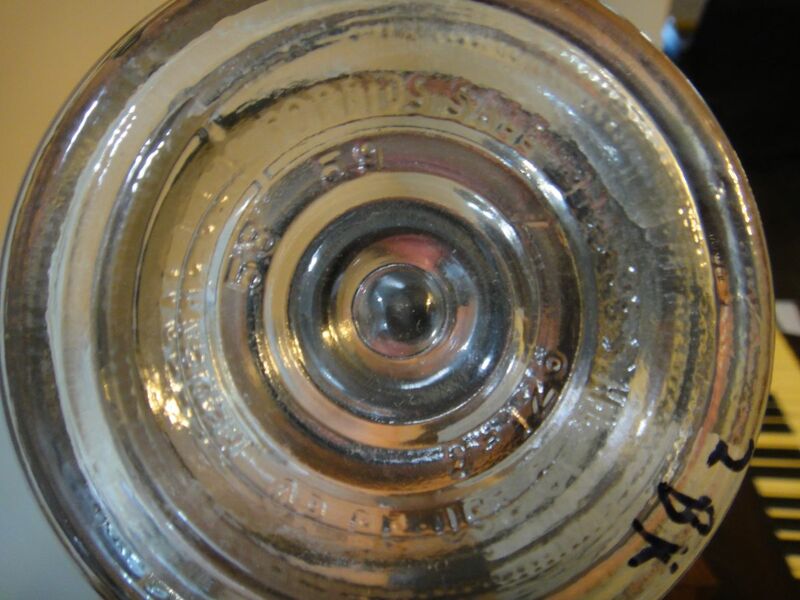 The crest reads "Fatti Maschi Parole Femine"
The bottom of the bottle reads: "Federal law forbids sale or re-use of this bottle"
The bottom also has the marks of: 58, 56, 7 and D-126. I have traced the D-126 marking back to two different companies but your container almost certainly was made for the Wolfschmidt Vodka brand. 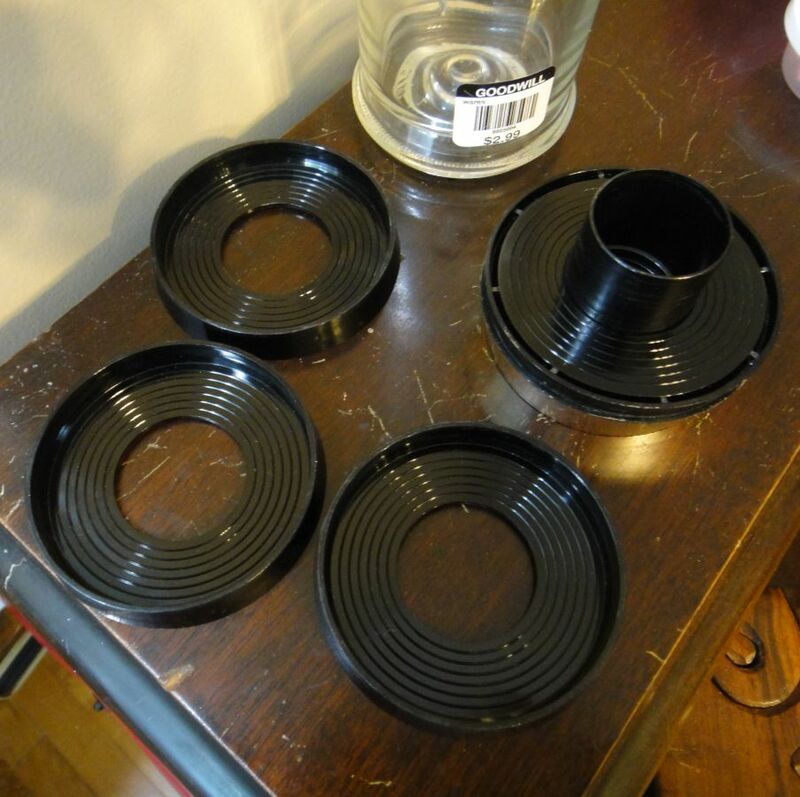 If you search around online you will find a number of pitchers and other promotional packaging for this product. You will also find some other Wolfschmidt examples in this forum. Wow, Chris. Thank you so much! I was searching all of the wrong terms. This bottle is really cool, I'm looking forward to researching a little more about it.